I know bloggers do all sorts of gift guides this time of year – and, who knows, maybe I’ll have one more this season – but I decided to condense my recommendations into one “ultimate” gift guide, so you can take full advantage of the Black Friday and Cyber Monday deals that are coming up. You guys know I’m all about saving money when I can! Speaking of which, have you heard about Honey? Katy Widrick recently told me about it, and it’s my new favorite frugality app. Once you activate it, it instantly tells you the bests deals on the products you are shopping for and even pulls up coupon codes! It’s pretty awesome! Anyway, this gift guide is intended for the people on your holiday list who are just plain hard to shop for. You know the people I am talking about, right? They either have everything they want or need, or just nothing specific comes to mind when you’re shopping for them. This round-up runs the gamut of interests, so, hopefully, there’s something for everyone on your holiday list! Instant Awakening Trio($89) – I already gifted this to myself and used it over the weekend for date night!  It’s perfect for dull tired winter skin! I already love the best selling Overnight Resurfacing Peel and the Illuminating Cream is becoming a quick favorite as well. Can we also talk about how awesome the Eye Revive Cooling Masks are?! They really do plump up tired eyes. 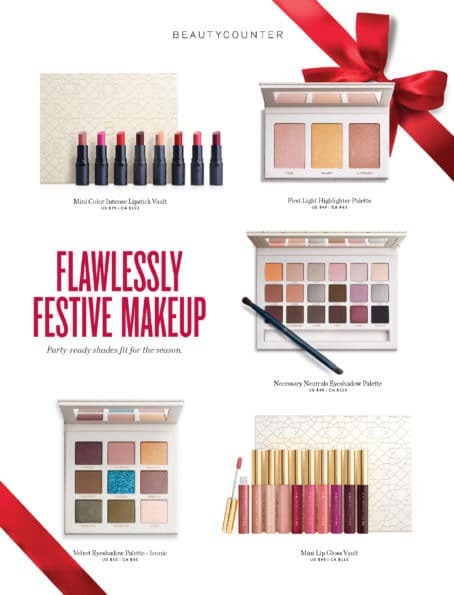 This set is definitely a must to gift to yourself – perfect for holiday season get-togethers! Transforming Lip Duo($30) – The perfect color on everyone! It’s a transforming lip tint that creates a custom color on everyone. I had no idea that transforming lipsticks were such a thing, but I guess Dior has one that is very popular? I am seriously in love with this set. I am not a huge lipstick person, so this is the perfect amount of color and shine. This is a great gift for just about anyone on your life! First Light Highlighter Palette($49) – Highlighters are THE thing right now, and this set will not disappoint! It’s 3 gorgeous highlighters in one. I had never worn highlighter until recently and love the glow it gives! If you have daughters, nieces, sisters, or even yourself that are into makeup, they will love this set and will know exactly how to use it! Counterman Travel Set($78) – Men care about their skin and health too! I love the smell of this line and would totally use it myself! The set includes a travel kit with a daily exfoliating cleanser, smoothing shaving cream, cooling aftershave tonic, and an oil free face lotion. This set sold out in one day last year, so don’t wait to buy it. Mal is definitely getting one of these under the Christmas tree this year! 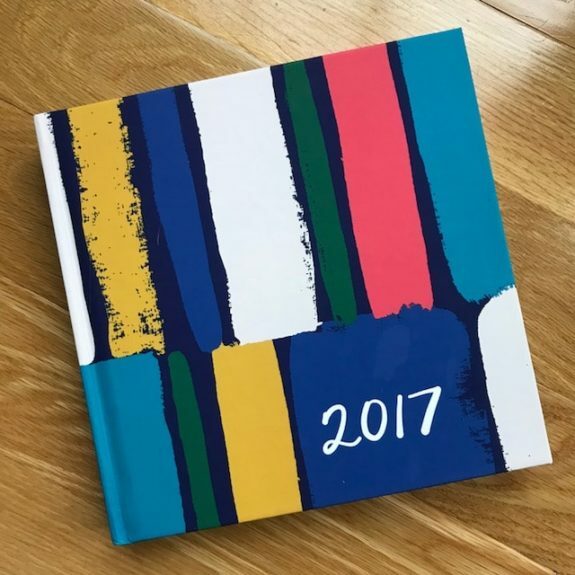 Chatbooks – You guys might remember be professing my love for Chatbooks on CNC in the past, and I’m even more in love with them after receiving this hardcover book of our family’s 2017 memories at the beginning of 2018. 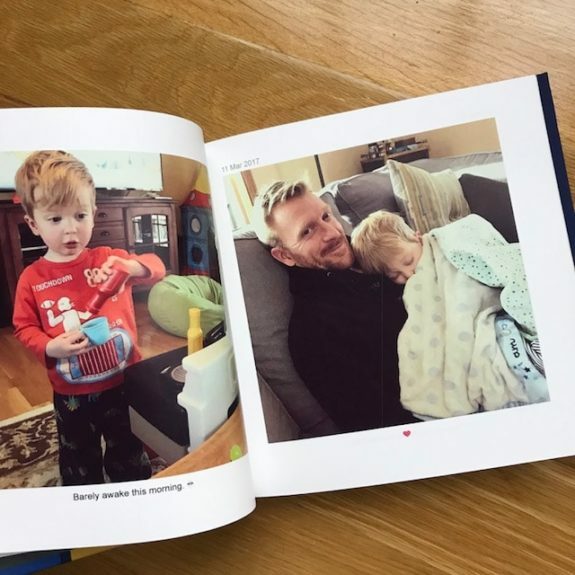 Chatbooks has an option to load all of your Instagram photos right into their system, so it took me maybe 15 minutes to make the entire book. I just went through selected the photos I wanted, picked a cover, and it was done. Easy as that! I have no affiliation with Chatbooks – I just really love their products – but I do get credit if you end up signing up. And you can get $10 OFF your first photo book order using this link! Chatbooks has ALL SORTS of awesome holiday gift ideas – starting at just $10! 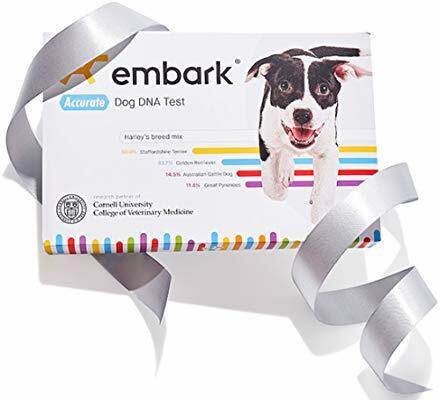 Dog DNA Test by Embark – There’s nothing better than discovering your roots – and that goes for fur babies, too. This test reveals a dog’s genetic age and info as well as breed breakdown from just a small sample of slobber. Incredible! 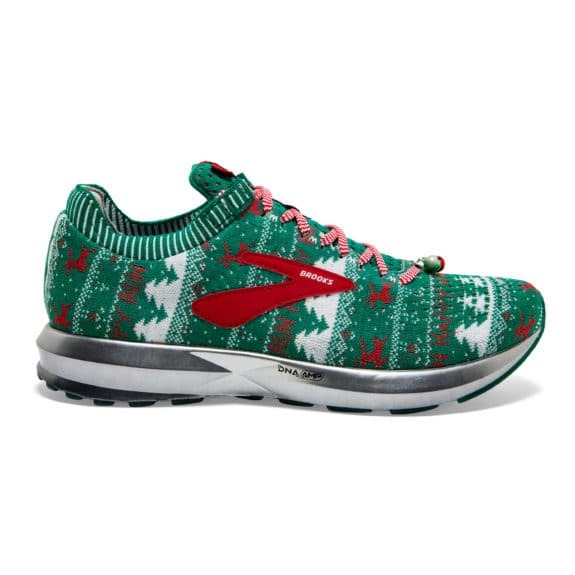 Brooks Ugly Sweater Sneakers (aka Levitate 2) – These sneakers are everything! I honestly don’t think a sneaker has ever made me so happy, and I know just about any runner or walker on your shopping list will LOVE these! 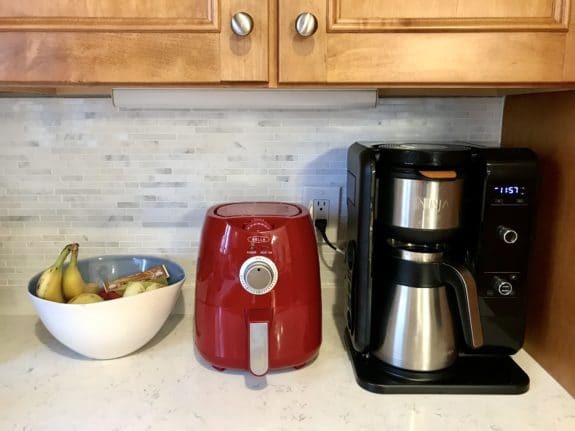 Air fryer – I professed my love for our new air fryer just last week (full review here), but it would make an awesome gift for the foodie or health nut in your life! 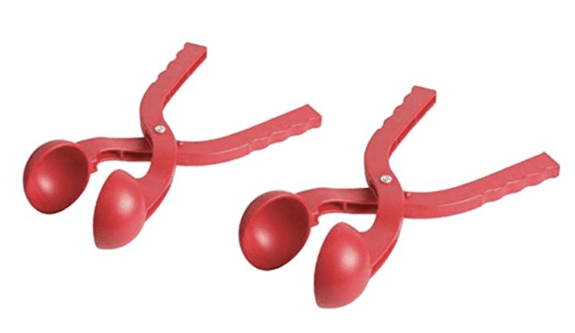 Snowball maker – Every kid (big and old) needs one of these snowball makers! 🙂 Quinn has been asking for one since he saw it! 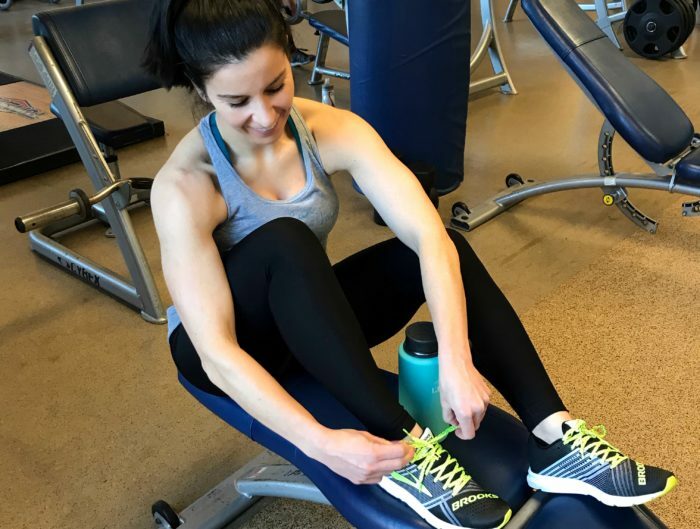 Fitness and athleisure apparel – The new year is just around the corner, and if there’s someone on your list who wants to get healthier in 2019, some new apparel or sneakers is the perfect gift. Wine – I mean, who doesn’t like wine? 🙂 Ok, some people like it more than others (myself included), but wine is such a nice gift to receive. Here are 3 options that I especially love. Winc is such an awesome (and fun!) gift. Mal and I have actually given it to a number of family and friends over the years. Winc uses an online taste profile/survey to help the recipient select bottles that they may like. Then, the bottles are shipped right to your front door. 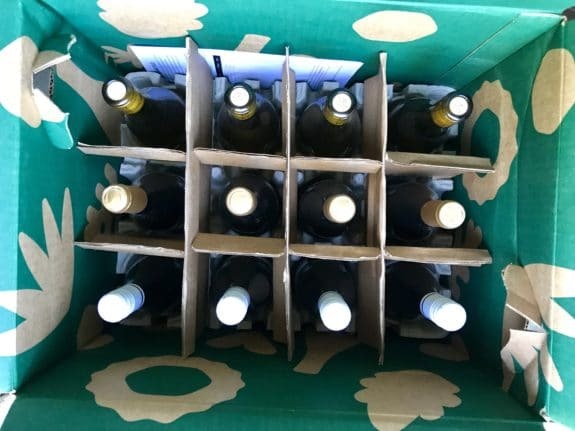 If, for any reason, you don’t like any of the bottles you received, you can exchange them for something new – no questions asked! And when your friends and family use this link, they will earn a complimentary $20 of Winc wine! 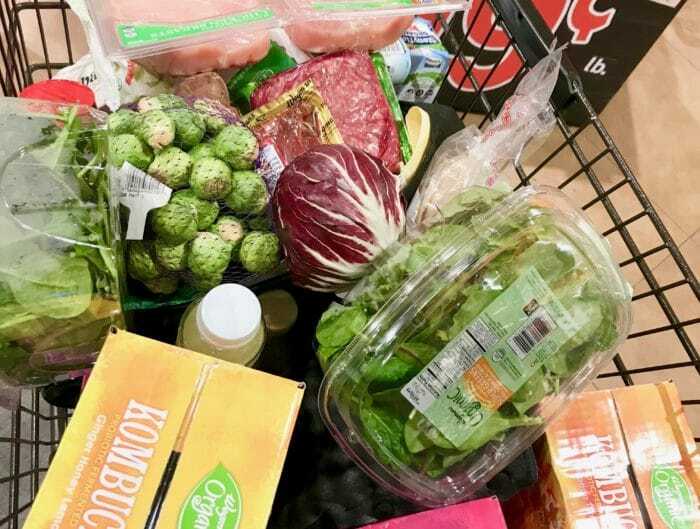 If you’re shopping for someone who is more health-conscious, the “Clean” wine from Thrive Market is really great (my review) as well as FitVine Wine, which has an awesome selection of lower calorie wine. 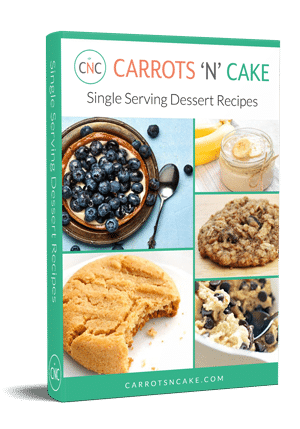 You can save 10% at FitVine with code carrotsncake10! 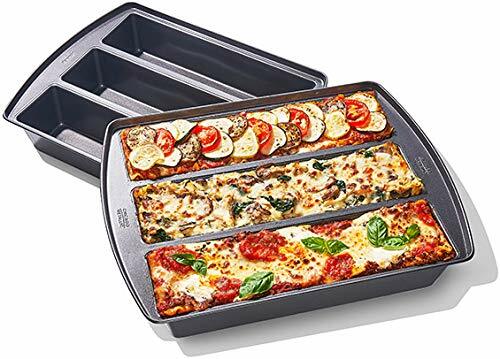 Professional Lasagna Trio Pan – This is such a cool idea! When you have a family of varying appetites and/or diets, this pan will definitely come in handy! 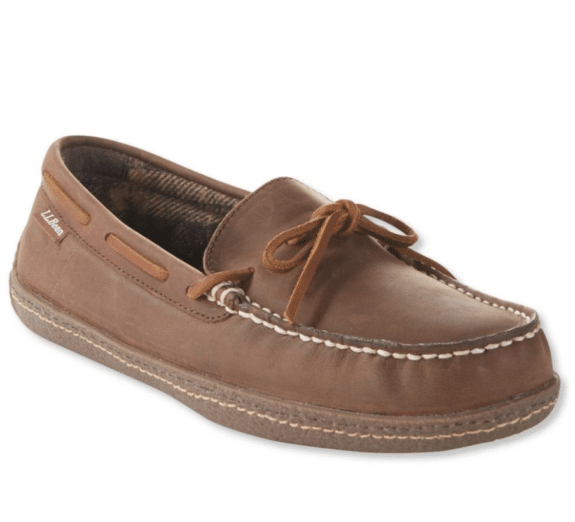 LL Bean slippers – LL Bean makes THE BEST slippers. They’re so cozy and last forever. Mal has these ones, and I have this pair, but in the women’s version. I highly recommend both! I’ve had mine for a solid 5 years, and I wear them just about every day around the house! Knork – Oh, yes. This is a fork + knife duo. The Knork allows you to both cut and spear food using only one utensil! Glass straws – I know how harmful plastics can be, so I’m paying a lot more attention and reducing the amount I use, including the straws that I drink my morning iced coffee with. I found some glass straws on Amazon, and I really love them. I used to use metal straws back in the day, which are still a great option, but I was never quite sure if they were truly clean inside. With the glass straws, you can see if they’re clean! They’re made from Pyrex, so it would take a lot to break them – and they’re dishwasher-safe. They’d make a perfect stocking stuffer! 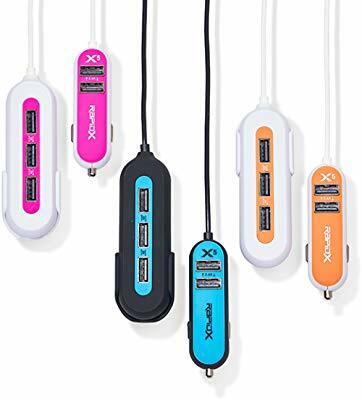 X5 Multi-Port USB Car Charger – Multi-port car charger? Sign me up! There’s never enough USB ports in the car – am I right? 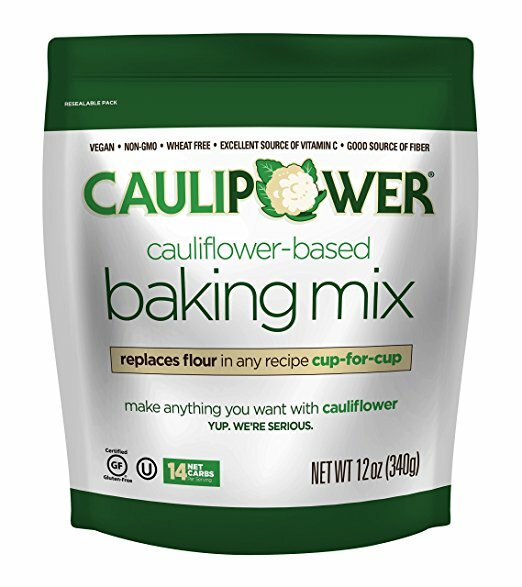 CAULIPOWER Cauliflower-Based Baking Mix – This baking mix is definitely on my Christmas list. 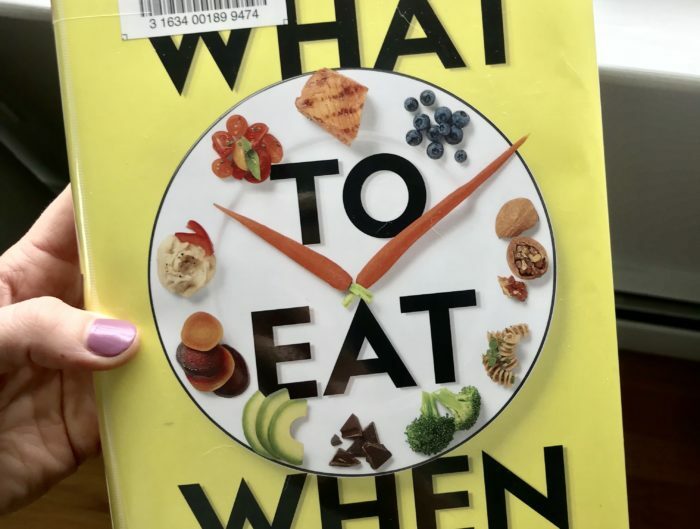 It’s vegan, non-GMO, wheat-free, low-calorie as well as an excellent source of vitamin C and fiber, which, of course, is much more nutritious that your typical making mixes. It’d make a fun stocking stuffer for sure! Silicone Food Savers – Genius! I hope someone buys these for me for Christmas! 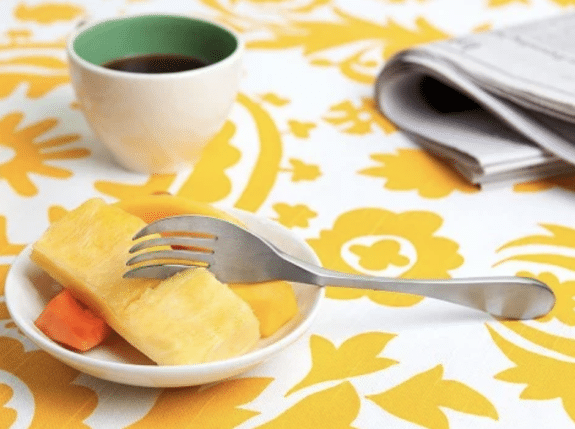 Similarly, this Avocado Hugger looks perfect for leftover avocado! P.S. If you haven’t been over to Oprah’s “Favorite Things” on Amazon yet, make sure you take a stop there for your holiday shopping – so many awesome ideas! P.P.P.S. Check back on Friday for a round-up of coupon codes and deals for Black Friday and Cyber Monday! I have that lasagna pan and LOVE IT! That’s great to hear! I need it in my life!! 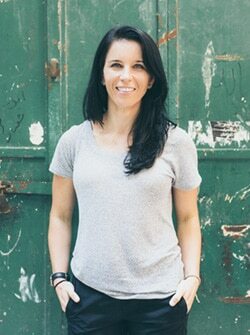 Hi Tina – I am considering giving Winc as a gift. Would $100 be enough to cover one shipment? 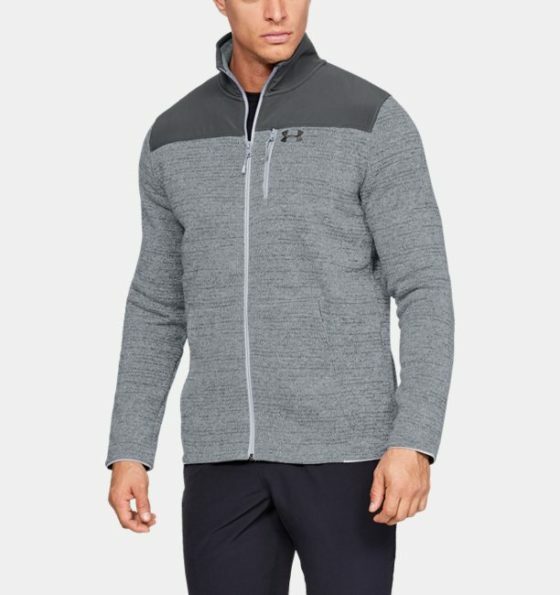 I am having a hard time figuring out how much a month/delivery would cost and do not want my family having to pay out of pocket. Also, can it be one time or is it all subscription based? They have four kids and I want it to be SUPER easy for them! Thank you for the help. $100 would definitely cover it – that’s what we’ve done in the past too as a gift. (I think the orders usually come in around $80-90.) If you purchase as a gift, it can be a single delivery and then the receipt has the option of signing on longer if they wish.